Looking to plan a reunion, but aren't sure where to start? Let us help. Millersville University welcomes the opportunity to assist alumni from a particular group (affinity reunion) or specific class (class-based reunion), reconnect with one another through various alumni reunions. Reunion events can range from a simple cocktail reception to a schedule of events that covers multiple days. 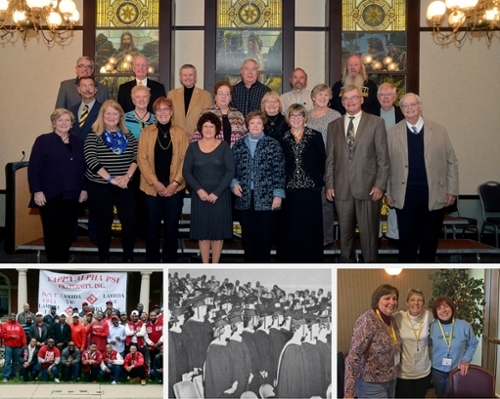 Our affinity and class-based reunions reinforce the mission of the Millersville University Alumni Association. The Association promotes a meaningful dialogue and exchange of ideas between the University and its alumni. And, through the diverse programs of volunteer services and financial assistance, the Association is committed to strengthening alumni relations in support of the University's mission. If you are interested in planning an affinity reunion or a class-based reunion, email the Office of Alumni Engagement at mualumni@millersville.edu or call 717-871-7551.